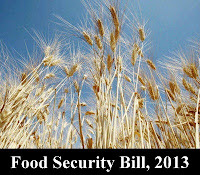 Food Security Bill, 2013: Food Security Bill passed in Lok Sabha on 26th August 2013 after minor amendment from UPA. The amendments moved by MPs Gurudas Das Gupta and Sampath were defeated. The ambitious bill was adopted by the House through a voice vote after a combined discussion on the measure and a statutory resolution seeking to disapprove the ordinance promulgated on July 5. Over 300 amendments moved by the opposition were rejected. 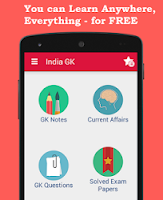 The bill, a part of the Congress election manifesto of 2009, is widely expected to be a game-changer for the ruling party as it prepares for the 2014 general election. Coverage of two thirds population to get highly susidized foodgrains: Upto 75% of the rural population and upto 50% of the urban population will have uniform entitlement of 5 kg foodgrains per month at highly subsidized prices of Rs. 3, Rs. 2, Rs. 1 per kg. for rice, wheat, coarse grains respectively . It will entitle about two thirds of our 1.2 billion population to subsidised foodgrains under the Targeted Public Distribution System (TPDS. Poorest of the poor continue to get 35 kg per household: The poorest of poor households would continue to receive 35 Kg foodgrains per household per month under Antyodaya Anna Yajna at subsidized prices of Rs 3, Rs 2 and Rs 1. It is also proposed to protect the existing allocation of foodgrains to the States/Uts, subject to it being restricted to average annual offtake during last three years. Children aged six months to 14 years would get take-home ration or hot cooked food. Eligible households to be identified by the States: Corresponding to the coverage of 75% rural and 50 % of urban population at all India level, State wise coverage will be determined by the Central Government. The work of identification of eligible households is left to the States/UTs, which may frame their own criteria or use Social Economic and Caste Census data, if they so desire. Women Empowerment-- Eldest women will be Head of the household: Eldest woman of eighteen years of age or above will be head of the household for issue of ration card, and if not available, the eldest male member is to be the head of the household. Grievance redressal mechanism at district level: There will be state and district level redressal mechanism with designated officers. The States will be allowed to use the existing machinery for District Grievance Redressal Officer (DGRO), State Food Commission, if they so desire, to save expenditure on establishment of new redressal set up. Redressal mechanism may also include call centers, helpline etc. Social audits and vigilance committees to ensure transparency and accountability: Provisions have also been made for disclosure of records relating to PDS, social audits and setting up of Vigilance Committees in order to ensure transparency and accountability. 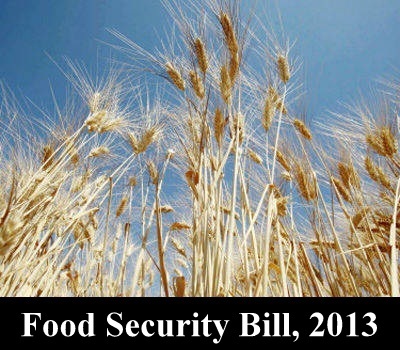 The central government also would provide money to states and union territories if it runs low on grain. Penalty for non compliance: The Bill provides for penalty to be imposed on public servants or authority, if found guilty of failing to comply with the relief recommended by the District Grievance Redressal Officer (DGRO). Expenditure: At the proposed coverage of entitlement, total estimated annual foodgrains requirement is 612.3 lakh tons and corresponding estimated food subsidy for 2013-14 costs is about Rs.1,24,724 crore.